You are here: Home / 3000 Watt Inverter Generator / What’s the Best 3000 Watt Inverter Generator? What’s the Best 3000 Watt Inverter Generator? What’s the best 3000 watt inverter generator? Which one should you get? We walk you through what you need to know and educate you on the various features and what they mean so you can make an intelligent decision. We recommend reading the full article before making a final decision. It’s important to understand your personal needs first so you have a frame of reference to evaluate the various 3000 watt inverter generators we review here. If you’re in the market for a generator, chances are you’ve already done a little homework by researching them or maybe you’ve asked around to get some different opinions to weigh your decision against — which is also why you are probably reading this now. It’s quite evident that generators come in all shapes and sizes and there are a lot of specs to figure out. A 3000 watt inverter generator is a great go-to option for typical home, recreation and emergency use. Generators are sometimes referred to as gensets and they can range from a small unit you can carry by hand to large units designed to supply power to an entire house. For the purpose of this article, we’ll focus on those in the 3000-watt range as this is your most common size. Regardless of size, they are designed with one purpose in mind – to provide power. Whether you need one as a necessity or for convenience, it needs to be sufficient for the things you intend to run on it. Unless you live a lifestyle completely off the grid then you most likely use electricity every day. A generator is a very useful piece of machinery to have at your disposal. 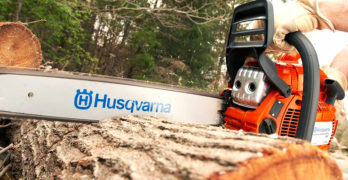 It’s a great convenience to have on camping trips to power up your electrical gear in your RV or even just to run a couple of appliances if you’re ‘roughing it’. Even if you aren’t the outdoorsy type, a genset can be a valuable thing to own for emergencies. 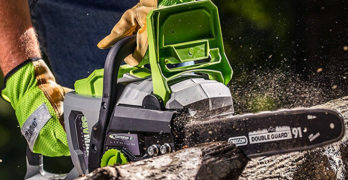 Generators have been serving users for numerous purposes such as backup emergency power, for recreational use, and even industrial use on job sites where electricity is needed for power tools. Think of how often you rely on electricity and instances where you might not have access to it. Do you live in an area that is prone to severe weather during certain seasons? Hurricanes, blizzards, and twisters are just some of the examples of common natural disasters that can result in loss of power for long hours to several days or even a week or two. Consider the amount of food stored in your refrigerator/freezer that would spoil within a matter of hours. Here’s some food for thought: a refrigerator will maintain temperature for up to 4 hours IF unopened. A freezer half full will maintain temperature up to 24 hours if unopened. Elegant Solution: Run it in parallel with either the Briggs & Stratton P2200 or the P3000. With no source of electricity, you’re also limited by what you can eat if you have no other means of cooking. 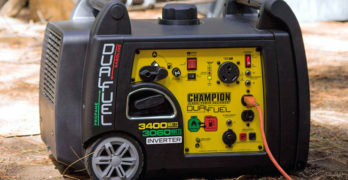 A 3000 watt inverter generator can sufficiently power a refrigerator or freezer, a microwave oven, an electric skillet, a portable fan, a coffee maker, or even a garage door opener to get you by when your power is out (keep in mind the amount of starting watts and running watts different appliances require, as you likely won’t be able to run all of these things simultaneously). Another important factor to consider is the environment you live in. Losing power in the dead heat of summer or during the harsh bitter cold of winter could leave you very uncomfortable and may even be dangerous. A genset can be a real lifesaver in these types of conditions or simply make a summer camping trip more pleasant. Here’s a tip: if you’re planning a summer camping trip for a weekend, a battery-operated fan won’t last long enough to keep you cool and comfortable unless you’re packing plenty of extra D batteries. Or, let’s say some random bizarre event occurs like a major flood that puts you out of your home! 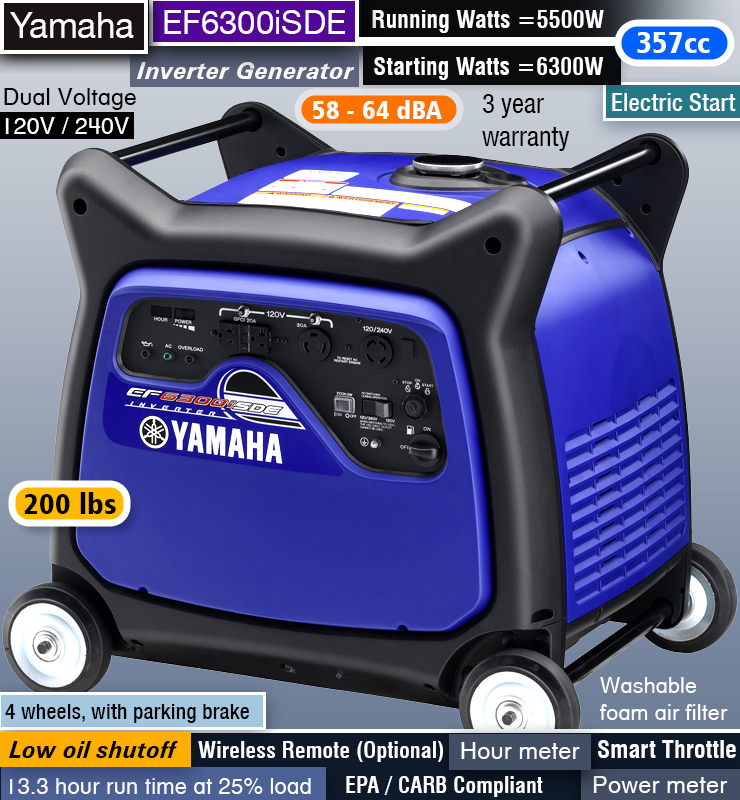 A portable generator can be easily moved or transported by an SUV or even a heavy-duty boat. You’ll be thankful for every penny you spent as this 3000 watt inverter generator will become your life-line to powering up necessities. Perhaps you live a more conservative lifestyle that isn’t heavily reliant on the power source supplied by the electric company. Many people have adapted the installation of solar panels to their homes as a more cost-effective way of living and reducing their carbon footprint. On those cloudy/rainy days where there isn’t sufficient solar power to run your home on, a generator can be a reliable backup solution when our solar solution isn’t available. What are the drawbacks to having a generator? There are 2 major disadvantages commonly associated with traditional gas generators. The first is that they are relatively loud when they’re operating. In fact, some are just downright obnoxious and are even prohibited in certain areas where noise restrictions are in place. If you don’t already know, inverter generators are a quiet as a conversation. Yes, it’s true, but more on the specifics of inverter generators later in the article. Noise restrictions, you ask??? Yes! In some communities the use of machines that produce noise levels above a certain decibel (a rating used to measure how loud something is) is a violation. These restrictions are typically put in place in communities where neighbors are in close proximity to each other and known for being quiet and peaceful. Could you imagine being left without power and having to endure the sound of a neighbor’s roaring genset all night long as you lie awake sweating with the windows open? The other drawback to generators is that they put out toxic emissions. This is why it’s highly advised to use them only in well ventilated areas, not in a garage, and they must be placed within a certain distance from the house. Inhalation of the fumes produced by fuel-powered machines can be seriously harmful. Through modern advances in technology, we have had the advantage of finding better solutions to many of the problems we face. Inverter generators were introduced fairly recently and are already becoming a new favorite because of their many advantages they can provide over the conventional models. Two of the biggest advantageous factors with these types of generators are their low emissions and quiet operation in comparison to standard models. It may sound too good to be true but quiet generators do actually exist and it has everything to do with how they are designed. You see, standard generators are typically made for industrial use. At first glance you will notice they are large, bulky and heavy, typically on a metal frame with wheels to transport around. They are designed to run at full power constantly and consequently generate more noise. Inverter-style generators, on the other hand, were designed to adjust the engine speed to the amount of load applied to it. While they operate very similarly to the standard generators, inverter generators are much smaller in design and more practical for typical consumer use. Their smaller engine size and varying power output design helps in reducing the noise level they produce. The other contributing factor responsible for their quieter operation is the housing of the engine. Inverter-style generators are typically designed with an outer casing composed of insulated materials that absorb and muffle the sound the engine puts out. The exact decibel rating varies from model to model depending on the manufacturer, but to put into perspective just how quiet these run, the noise level is lower than a vacuum cleaner running. It’s clear to see the differences between standard generators and inverter generators when looking at them side-by-side. This may leave many to wonder how can a unit that is so much smaller and quieter by comparison match the power capability of a traditional generator? It’s all in the mechanics. The electricity that comes from the wall outlets in your home which you run your common household appliances and gadgets on is in the form of alternating current or AC power. In the U.S., the standard current required is 120 Volts at 60 Hertz. Conventional generators produce AC power by block waves with each engine rotation through the process of electromagnetic induction. In order to produce the amount of voltage required to meet the current standard, the engine must run at constant speed of 3,600 rpm. An inverter generator essentially does the same thing as a traditional generator – it produces electricity to generate AC power, except it does this using an advanced 3-phase system. The AC power is converted into direct current (DC) and then ‘inverted’ back as AC power at the standard current. The result is greater electrical energy per engine rotation in the form of pure sine waves, rather than block waves. This allows you to run sensitive electronics that are not advised with traditional generators. While it seems obvious that inverter-style generators rank superior to the standard generator models, there is still the advantage of the cost factor between the two. Inverter generators are more expensive than the standard models. For example, a 3000 watt inverter generator can run you as much as $1,000 or more, whereas a standard generator of the same capacity can be purchased for half that or considerably less. The newer advanced parts, primarily the alternator, are more expensive than the parts used in traditional gensets due to the nature of their design in what they were made to do. Are the benefits of an inverter generator worth the extra expense? Let’s discuss fuel efficiency for a moment. Inverter generators and conventional generators both use a source of fuel, but it’s how they use the fuel that makes the difference. Inverter generators are made to be compact and lightweight, so they have smaller fuel tanks. Because of their design to adjust engine speed to meet the demand of the load, they do not consume fuel at the same rate that a traditional generator takes. For instance, a typical 3000 watt inverter generator can run for as long 8 to 10 hours at the rated load while using as much as 40% less fuel than a standard generator. Another great advantage to its fuel efficiency is that less fuel consumed means lower exhaust emissions. For those that see the value in portable inverter generators over the conventional models, there is yet another benefit to be had. These units have parallel capability to up your power needs. This means you can run two identical portable units together to increase power when needed with all of the benefits offered with inverter type generators. Here’s an example of a scenario where the parallel capability can come in handy. Let’s say you purchase a lower kilowatt inverter generator to run one or two smaller appliances. You only use it on occasions such as a camping trip to run your coffee maker or for a tailgating party to power a small TV, so you don’t need to spend the extra money on a higher capacity model and you gain the benefits of inverter technology. Then, a major storm becomes a threat and the possibility of losing power brings you to the realization that you need more power. Rather than having to upgrade to a higher capacity model, you can purchase an identical unit to the one you already own and a parallel cable or kit to link your two units together. Their parallel capability could also mean more Kw for the money. Just to give you an example of this: you can purchase two Honda 2,000-watt super quiet portable inverter generators for close to (if not exactly) the same price as their 3,000 watt inverter generator (plus the cable) but you’re getting more Kw for the price you pay. Plus, you gain greater versatility with the use of two units. If you come across a special price that a retailer is running for an inverter generator, this could mean more bang for your buck by taking advantage of that offer and getting two. The folks over at Briggs & Stratton have developed the perfect inverter generator combo with this in mind. Maintains steady, accurate, & clean power output. Less than 3% Total Harmonic Distortion. This portable 3000-watt inverter generator will provide you with sufficient clean, instant power with a maximum 3000 starting watts and 2600 running watts. That’s enough to power an RV air conditioner. It’s equipped with a 1.5 gallon fuel tank that (on full) can run for 5 continuous hours at half load and up to 10 hours at 25% load. These PowerSmart series generators’ engines are designed to adjust automatically to conserve fuel and prolong run times. There are 4 household outlets, a 12V 30-amp with an RV adapter, and a USB port on the control panel. It has additional features for ease of use such as displaying the power consumption and total number of unit hours on an LCD display screen. To help protect the motor and extend the life of your generator it also features maintenance reminders to let you know when the oil, air filter or spark plugs need to be changed. It also comes with a bottle of motor oil. Despite its weight of 84 pounds, which is still much lighter than conventional models of the same size, the manufacturers of this portable inverter generator took careful consideration in making it easier to transport. It is equipped with a telescoping luggage-style handle and 6” inch wheels that are suitable on various terrains for optimal mobility. This unit is also designed with a unique twin handle that’s been incorporated to make it easier for two people to carry and lift it up into the bed of a truck. Now, here’s the real deal where the parallel capability adds versatility and value. This Briggs and Stratton PowerSmart Series portable generator comes in a package option that includes the 3000-watt generator, a 2200-watt inverter generator with parallel capability and the cable connector kit. This package bundle gives you more power and a better savings value than if you were to purchase them separately. Included wireless remote key fob for remote starting. Wireless Remote : Start and stop from 8o feet away. Push button electric and easy pull recoil start. ✓ View or download the MANUAL for the Champion Power Equipment 75537i, 3100 watt generator. *Just as with any generator model that offers electric start, the batteries have to be fully charged. For this genset, the battery must be in the ON position to start the unit using the remote start and the batteries will hold their charge for up to 2 weeks. It weighs about the same as the Briggs & Stratton model (approximately 83lbs.) with a compact design featuring recessed wheels and two handles located at the top for easier transporting. The 1.6 gallon fuel tank will run for up to 4 hours at half load or 8 hours when operating at 25% load. It is equipped with valuable safety features you want in a genset like low oil shut-off and overload protection to protect your generator and comes with a 2-year warranty. Well, there you have it. The inverter style generators definitely have some major advantages over their conventional predecessors in terms of practicality. These portable 3000 watt inverter generator models set the bar high for similar models in their class and they’re all CARB-compliant to boot. I recommend investing in the wheel kit. Honda overhead valve engine for clean, consistent, reliable power. Lightweight and compact for easy transport. Runs up to 24 hours on a single tank for optimal fuel economy less back and forth. Eco-Throttle mechanism for super efficient operation. Totally enclosed motor produces only 48 to 58 decibels of sound for quiet operation. If you want the top quality in generators Honda is where they’re at with high review ratings all around. They certainly aren’t cheap, but it’s no surprise why. The 2800-running watt/3000-starting watt portable inverter generator is capable of powering up your fridge, microwave ovens, heaters, RV air conditioner, power tools and more with clean, surge-free power. This unit is equipped with a 3.4-gallon that can run for a total of 24 hours on a full tank when operating at 25% load, or up to 7 hours at the rated load thanks to the Eco-throttle mechanism. It’s equipped with recoil and electric start for fast and easy start ups***. The receptacles on the unit include two household outlets, a 23-amp twist lock outlet for power tools, as well as a 12V DC output. 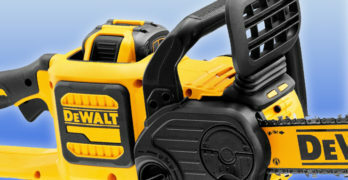 This is very useful as it can charge up batteries such as those used in cordless power tools or even a car battery! This genset can be used in parallel with an identical model of the same name and size to amp up your power to 6,000 watts! There are many added features that serve to protect your genset as well as your electronics such as a circuit breaker, overload alarm and auto shutdown if oil gets below a certain point. It’s also backed by their 3-year warranty to ensure quality in your investment. 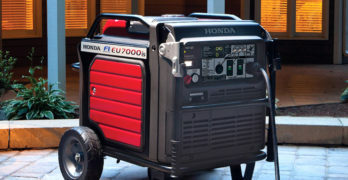 *Honda actually has two 3000 watt inverter generator models: the EU3000iS (which is the model mentioned here) as well as an EU3000i Handi model. Be mindful of this when purchasing one, because there are significant differences between these two models. The EU3000i Handi has a few added convenient features like recessed wheels and a lighter, more compact design but it does not feature electric start, the fuel tank is half the size of the 3000iS (which amounts to less run time) and it operates at a slightly higher decibel rating.